At Bloomsbury Law, our professional mediation solicitors can make the process a positive experience compared to other solutions which would involve going to court. 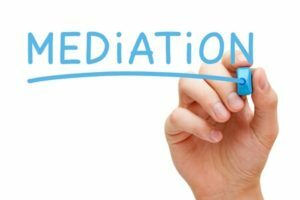 We specialise in many areas of mediation and have worked on behalf of many clients. Contact us online or speak to one of our dedicated mediation solicitors on 0207 998 7777. With our vast experience in all areas of law, our expert team will work with you to ensure this process runs as smooth as possible. All information you provide us with is treated with the utmost confidentiality.